No garden? No problem. This rocking chair was made with urban living in mind. It’ll bring some fun to your outdoor space, whatever the size. And, it’s super-affordable, too. Tice was made to turn heads. 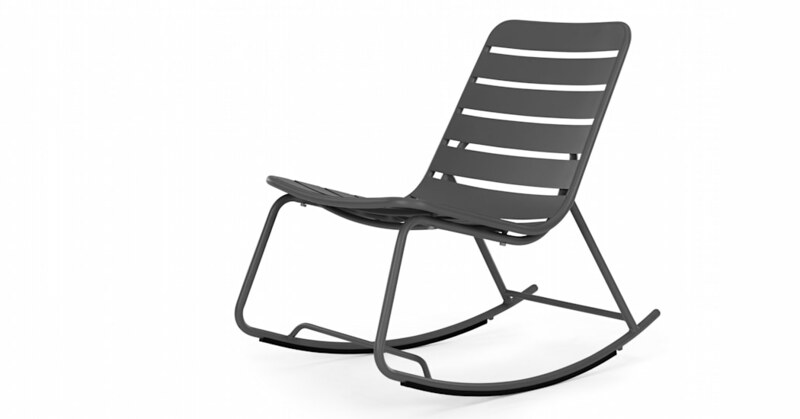 This rocking chair has a soft, organic shape and choice of colour options. Go for grey to keep in tone, or on-trend chartreuse for a striking look. Both in powder coated steel, it makes with the rest of our Tice collection, perfectly.